Abu Dhabi is perhaps the least pedestrian-friendly city I could imagine. City streets are uncrossable highways. City blocks are enormous and filled with unexciting hotels and office blocks. And the heat and humidity don’t exactly encourage outdoor aerobic activity of any kind. So with me the sort of person who likes to wander around a city at leisure, Abu Dhabi and I were probably never going to be great friends. And so it transpired. The city seems a comic stereotype of drive-everywhere, shopping-mall-as-panacea suburban America. 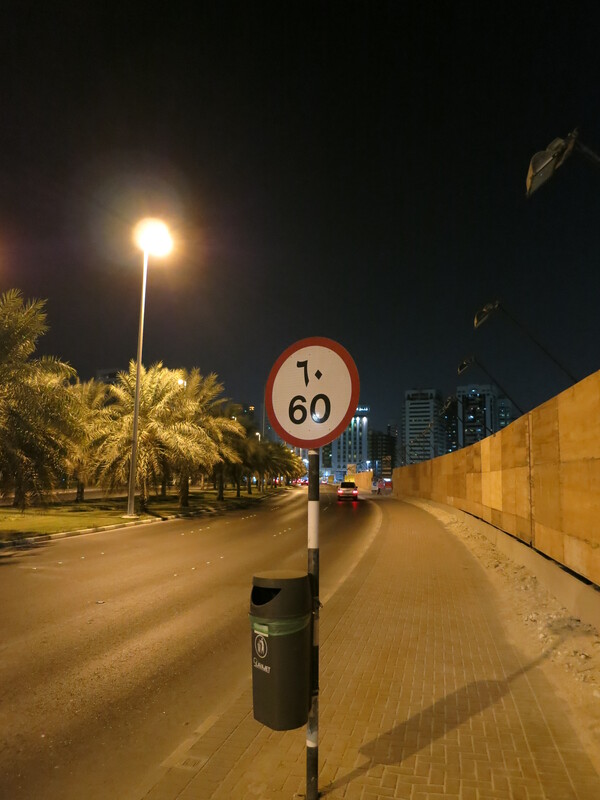 A city street in Abu Dhabi, complete with Arabic numbers on the speed limit. 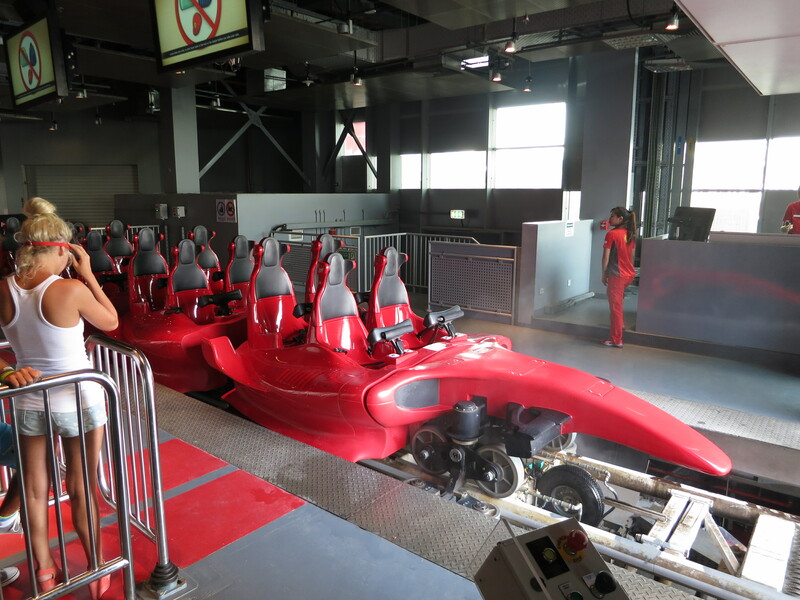 Seriously, this is one of the most interesting photos I have from Abu Dhabi. But even allowing for that, the capital of the UAE still left me uninspired. There’s stuff there that’s supposed to be interesting or impressive – the enormous shopping malls, the long stretch of beach (the Corniche), and probably other stuff I’ve already consigned to an area of memory marked ‘reclaim for future reuse’. But it just wasn’t. (Interesting or impressive, that is.) We actually did very little. We just couldn’t find that much to do. And what we did find for the most part didn’t excite. My lasting impression of Abu Dhabi will be the feeling that surely it must have been designed by someone who’s only ever visited other cities from the inside of a limousine. I expect that if you’re an oil tycoon, your experience of, say, Paris or London or New York probably features a lot of driving from highlight to highlight in air-conditioned comfort. Not a lot of walking around the back streets in search of a cheesy baguette, soaking up the culture and enjoying the sight, sounds and smells of ordinary life. So I can’t help but think that the guys who were responsible for carving up the UAE’s petroleum-flavoured pie probably optimised their urban planning for the type of international city they knew. A boring type that exists only in their heads. Oh well. Good for the taxi drivers, I guess.